What’s the big deal with vitamin B12? You took the plunge, and you love your vegan diet! Or maybe you’ve read stories of miraculous results and want to try it for yourself. 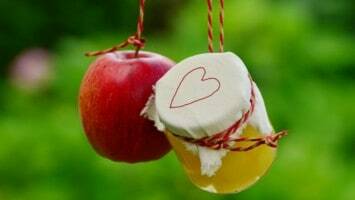 You know it is a very healthy diet and is especially useful for losing excess weight. But now you’re hearing conflicting information about the need for a vitamin B12 supplement. What’s truth, and what’s not? Some overzealous supporters have tried to find some easy solution to the problem of B12 deficiency in a vegan diet. This has led to a lot of confusion and some downright false claims. 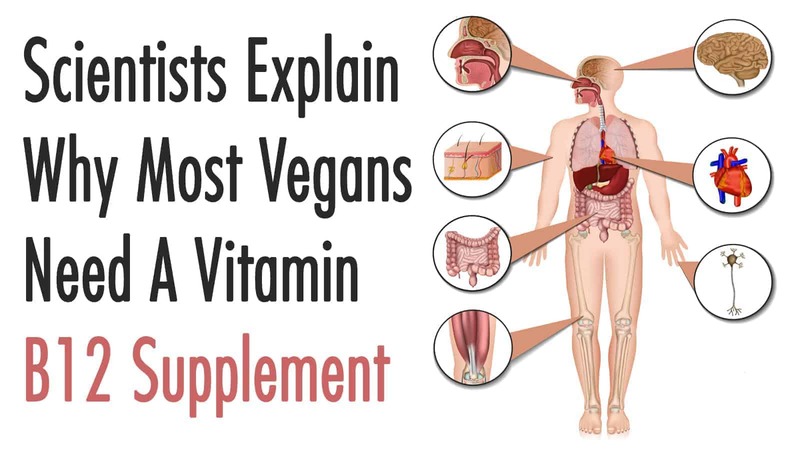 It’s important for the health of vegans to understand the truth about this important vitamin’s functions and how to ensure healthy levels at all times. Regardless of any misinformation that may be floating around the internet, the absolute necessity of the B12 vitamin for a healthy mind and body is undisputed by scientific research and health professionals. But how much does the body really need? What are good B12 food sources, and how does a vegan diet affect healthy levels over time? Why is Vitamin B12 important to your body? First of all, vitamin B12 is necessary for many manufacturing processes in the body, including forming red blood cells, new nerve cells, and DNA. It also supports energy levels and cognitive functions. The B12 vitamin is an essential nutrient, which means it is not manufactured internally, or at least not in sufficient amounts. So a large portion of necessary levels must come from outside sources or supplements. A B12 deficiency may also boost levels of homocysteine in the blood. This amino acid has been cited as creating a higher risk for heart disease or stroke. 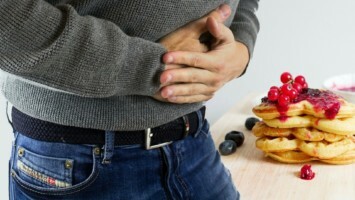 Homocysteine may also add to the risk of blockages gradually building in the arteries, which may also contribute to heart attacks and strokes. Listed among some of the more severe indicators of a B12 deficiency are cognitive disorders, depression, paranoia or even a loss of the senses of taste and smell. Growth and healing can be affected, so children who choose a vegan diet should be closely monitored. As you can see, it is important not to ignore the body’s need for this essential nutrient. Vitamin B12 is synthesized by microorganisms found in all animal foods except honey. Whatever claims you may have heard to the contrary, these are the only pure food sources. So, while vegetarians may be able to intake sufficient quantities through eggs, cheese, and yogurt, vegans must find other B12 supplements to stay healthy. Factual claims have been made that plant sources such as seaweed and certain mushrooms contain B12. However, these sources are unreliable because they cannot be properly absorbed by the human body. B12 is a unique and complicated vitamin and not all forms are useful to people, including the abovementioned plant-based forms. So eating them can still lead to a vitamin deficiency. Other myths regarding sources of this vitamin are out there for the gullible. They include claims that you can acquire sufficient amounts through the dirt left on unwashed vegetables or the growth of natural bacteria in your mouth. If these ideas seem silly, it’s because they are. Make sure you read the label to find out about the potential sources of B12 supplements. Some companies may use animal-based gelatin as a source for B12. A little research can help you choose the best vegan food sources. And if you are still experiencing symptoms of possible B12 deficiency, it may be a good idea to see your doctor to be tested. It’s interesting to note here that some studies have indicated that B12 sources from fortified food may actually be more effective than red meat sources. Some have postulated that cooking may affect the quality of the vitamin content of meat. So maybe vegans aren’t missing out as much from red meat sources as originally thought. If you are deficient, your doctor may recommend a daily oral vitamin B12 supplement or injections to reach acceptable, healthy B12 levels. Injections may be given daily or weekly until levels are normal, then monthly thereafter. If you are taking an oral supplement, make sure it is from a source trusted for a high-quality product. Monthly injections have become popular and work because your body is able to store some B12 for later use. This has led to another myth that after a certain point, your body has stored enough B12 to last a lifetime. These claims have been proven false. Symptoms of a deficiency begin to manifest quickly without an ongoing source of the vitamin. How much Vitamin B12 does the human body need? B12 is a water-soluble vitamin, so taking too much is highly unlikely and there are virtually no known side effects. Like other water-soluble vitamins such as vitamin C, any excess of vitamin B12 supplement can be effectively washed from the system. So you generally only have to worry about taking too little. Depending on who you talk to, experts recommend 2.4-6 micrograms (mcg) of B12 per day. For vegans, however, the recommended daily allowance jumps to 250 mcg per day. One reason for this may be that a smaller percentage of alternate sources may be absorbed. About 50% of the B12 vitamin from the best sources in a normal omnivorous diet may be absorbed; much less from vegan food sources or a vitamin B12 supplement. Some dietitian recommendations include taking smaller doses several times a day to help make the supplement more effective. Also, some studies seem to indicate that taking antacids may interfere with the absorption of B12 supplements. So if you are vegan or just getting older and regularly take antacids, you can safely increase your daily dose to 500-1000 mcg to ensure your body absorbs sufficient amounts. So why be vegan at all? If you’ve been debating about whether to try a vegan lifestyle, you may be wondering if it would be worth it. In spite of some needed vitamin supplements, many people have reaped huge benefits from a vegan diet. However, this is a lifetime commitment, so don’t take the decision lightly. Researchers have found that vegans often enjoy higher energy levels and experience less stress and anxiety. 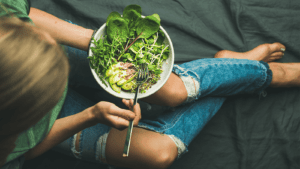 There is also evidence that a vegan diet can help lower the risk of many of today’s common health issues, such as high blood pressure, diabetes, and certain neurological disorders. Vegans have been found to have healthier bones, as fruits and vegetables have a stabilizing effect on the body’s pH levels. Also, foods rich in fiber help to lower blood cholesterol levels and keep it properly balanced. Of course, one major motivation for some is the way a vegan lifestyle and weight loss seem to go hand in hand. The internet can supply you with many amazing stories of incredible transformations from obese to lean and mean physiques. Keep in mind, though, that most of the success stories also include a commitment to a comprehensive exercise routine. The need for a vitamin B12 supplement shouldn’t be the deciding factor against a vegan diet. Every diet has its strengths and weaknesses. A vegan diet is not easy but can be highly beneficial to the health of your body and mind. The positive impacts are often obvious and quick to manifest. There are many delicious recipes available on the internet or at your local bookstore to choose from. You can try many new foods and create a variety of favorite menus to keep mealtime interesting. Another fact to note is that, along with vitamin B12, almost every diet requires augmentation of some kind. Ongoing research continues to reveal more dynamics of what the body needs for optimum health. Being aware of the need for B12 and other supplements will help you get the best results from your vegan diet. Don’t forget about how dietitians rave over the many benefits of all those fresh, raw fruits and veggies. They are equally vehement about all the unhealthy foods included in the average American diet. Taken all together, a vegan diet may very well be one of the best win/win diets available.